Bar 1 Events, Inc.–Managed public relations efforts for Bar1 Events’ 7 locations, including: Duffy’s Tavern & Grille, Durkin’s Tavern, Fion Wine & Spirits, Maeve, McGee’s Tavern & Grille, Redmond’s Ale House and The Wrightwood Tap. Learn more at Bar1events.com. 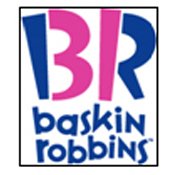 Baskin Robbins – Developed a public relations campaign and managed ongoing events and partnerships with Chicagoland Baskin Robbins locations. Learn more at Baskinrobbins.com. en·clave – Secured media placements for this hip, River North nightclub by promoting events, celebrity appearances and not-for-profit events. Learn more at Enclavechicago.com. 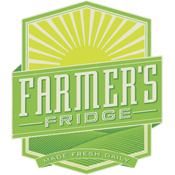 Farmer’s Fridge – Launched and conducted a public relations campaign for this new healthy vending machine concept that delivers delicious gourmet salads and snacks to customers via automated kiosks around the Chicagoland area. Learn more at Farmersfridge.com. 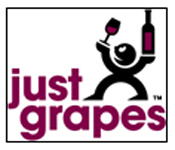 Just Grapes Wine Shop – Garnered ongoing local and national press with wine entertainment and education venue, Just Grapes, by positioning them as an expert resource in the industry and a unique venue for corporate and consumer events. Learn more at Justgrapes.net. Levy Restaurants – Managed ongoing public relations for Levy, the leader in sports and entertainment dining, surrounding the Super Bowl, Kentucky Derby, MTV Video Music Awards and NBA All-Star Game, among other high profile sports events. Learn more at Levyrestaurants.com. Rosebud Restaurants – Generated media coverage surrounding the launch of the restaurant’s cookbook, “CIBO: Anybody’s Guide to Italian Cooking” by Chef Michael Ponzio. To learn more about the Rosebud, visit Rosebudrestaurants.com. Standard Market – Launched a public relations campaign for this specialty grocery store’s Naperville location opening. PR efforts included opening events with local charities to encourage community involvement and continued media relations support after the launch. Learn more at Standardmarket.com. 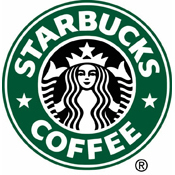 Starbucks – Launched and conducted a public relations campaign for the retailer’s first-to-market “Extreme After-Coffee Mints and Gum.” Learn more at Starbucks.com. Texas de Brazil – Managed public relations for the national Brazilian Churrascaria chain for their launch and handled ongoing promotion for all locations, including media relations and partnerships with local charities and professional organizations. Learn more at Texasdebrazil.com. 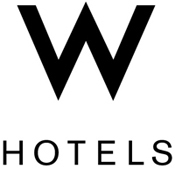 W Hotels – Conducted ongoing media relations and supported marketing efforts for both Chicago locations, including a series of book signing tours and other special events. Learn more at Starwoodhotels.com. Astra Tech – Generated media coverage for Astra Tech’s Lofric Catheters by distributing press materials to related national media following Medicare’s approval of the decision to let all patients have access to single-use catheters. Learn more at Astratech.com. ChicagoHealers.com – Managed ongoing public relations efforts and secured event opportunities for this web-based resource that offers extensive educational information and expert advice on alternative health and healing. Learn more at ChicagoHealers.com. Elan Pharmaceuticals – Managed public relations efforts, including media relations, media training and partnership opportunities, for Prialt, an alternative chronic pain drug from Elan Pharmaceuticals. Learn more at Elan.com. Mitchell Dental Spa – Provide ongoing public relations support for this high-end dental spa by promoting their spa services, which include massages, facials and lip rejuvenation, as well as cosmetic dentistry. Learn more at Mitchelldentalspa.com. The Chicago Associate Board Presidents’ Council (CABPC) – Partnered with this non-profit organization to raise brand awareness and promote various fundraising and networking events, including their quarterly Young Professional Board Recruiting Event. Learn more at Cabpc.com. The Flat Iron Artists’ Association – Provide public relations support for this non-profit organization dedicated to supporting community artists by promoting various galleries and events. Learn more at TheFlatIronProject.com. 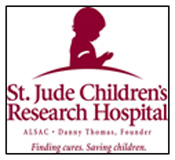 St. Jude Children’s Research Hospital – Manage event promotions and public relations/marketing opportunities to evaluate their local presence and increase fundraising to the hospital. Learn more at Stjude.org. Seventeen Magazine – Conducted media relations surrounding each magazine issue. Used Public Relations to position the magazine’s editors and publishers as experts on teen trends. Learn more at Seventeen.com. New York Magazine – Generated media coverage surrounding the magazine’s annual awards ceremony, whose recipients included Julianne Moore, Billy Joel and Tony Bennet, and promoted New York Magazine reporter’s involvement in accomplished works of literature. Learn more at Nymag.com. Beckett Simonon – Managed public relations for the launch of the leading online retailer’s Goodyear Welted Collection. Conducted a New York City media tour, met with top-tier fashion and business reporters and initiated product reviews and giveaways. Scarves.com – Generated national media coverage surrounding the launch of Scarves.com and monitored ongoing coverage for the site. Learn more at Scarves.com. 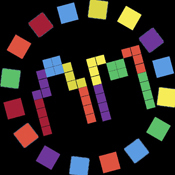 Ties.com – Generated national media coverage for Ties.com. Learn more at Ties.com. CB2 – Planned and managed the launch of Chicago’s first Crate & Barrel hip offshoot, CB2, by way of an aggressive media relations and event planning campaign. Learn more at Cb2.com. Imagine Tile – Generated ongoing public relations support for Imagine Tile, the leader in custom ceramic tile designs, surrounding the launch of various new product lines by positioning Imagine Tile as a leading expert in interior design. Learn more at Imaginetile.com. 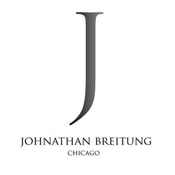 Johnathan Breitung Salon & Luxury Spa – Manage public relations efforts for Johnathan Breitung Salon & Luxury Spa’s opening and continued promotion of the new space. Generate ongoing press for monthly specials and promotions. Learn more at Johnathanbreitungsalon.com. 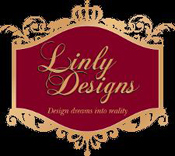 Linly Designs – Managed media relations campaign for this suburban interior design and home furnishing store with locations in Clarendon Hills, IL and Highland Park, IL. Planned launch party for Highland Park, IL location, including the appearance of Meg Caswell, season 6 winner of the HGTV’s “Design Star” and host of “Meg’s Great Rooms.” Learn more at Linlydesigns.com. Material Possessions – Developed a broad, national media relations campaign for this Chicago-based home décor and accessories retailer for the stores’ 30th anniversary, as well as managed their first consumer-focused media relations push. Learn more at Materialpossessions.com. Montauk Sofa – Garnered local and national public relations coverage through media relations and event marketing surrounding the company and their custom crafted, eco-friendly seating. Learn more at Montauk.com. Mosquito Curtains – Managed public relations efforts for the launch of their revolutionary home product by garnering media attention on a national level. 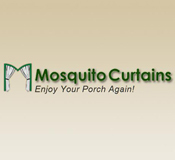 Learn more at Mosquitocurtains.com. Weston Gallery – Managed public relations support for the launch of their innovative new home product, the 5 Second Slide & Store frame. Learn more at Westonframes.com. 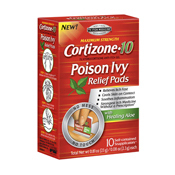 Cortizone 10 Poison Ivy Relief Pads – Managed public relations for the national launch of this new Cortizone 10 product. Created and maintained targeted media lists and actively sought media opportunities to raise brand awareness, including product reviews and giveaways. Learn more at Cortizone10.com. 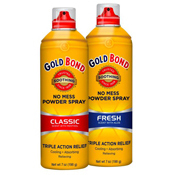 Gold Bond No Mess Powder Spray – Managed public relations for the national launch of this new Gold Bond product. Created and maintained targeted media lists and actively sought media opportunities to raise brand awareness, including product reviews and giveaways. Learn more at Goldbond.com. Jill Stack Naturals- Launched Jill Stack Naturals Gold N SPF. Created and maintained targeted media lists and actively sought media opportunities to raise brand awareness for the vegan sunscreen company. Learn more at Jillstacknaturals.com. 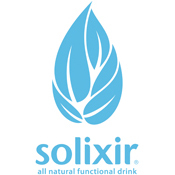 Solixir – Managed public relations for the launch of this new all-natural drink line. Created and maintained targeted media lists and actively sought media opportunities to raise brand awareness. Helped implement “The Working Dead” campaign across Chicagoland, including staged “outbreaks” and samplings to generate media coverage. Learn more at Solixir.com. Twisted Butter – Managed public relations efforts for the official launch of Twisted Butter, a flavor-infused butter spread available in 6 diverse flavors. Managed ongoing media relations and assisted in marketing opportunities, including sampling events and partnerships. Learn more at Twistedfoods.com. 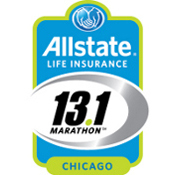 Allstate Life Insurance Chicago 13.1 Marathon®– Manage ongoing public relations for the annual Allstate Life Insurance Chicago 13.1 Marathon® and USRS 5K. Learn more at 131marathon.com. Anime Midwest – Managed public relations for this annual anime convention. Created and maintained targeted media lists and actively sought media opportunities to raise event awareness, including television segments. Learn more at Animemidwest.com. Bastille Day – Managed public relations for the Bastille Day 5k/8k. Created and maintained targeted media lists and actively sought media opportunities to raise event awareness, including television segments and blogger giveaways. Learn more at Bastilledayrun.com. Chicago Half Marathon – Managed ongoing public relations efforts for the annual Chicago Half Marathon and Hyundai Hope On Wheels 5K. Garnered event hype with television segments and blogger giveaways. Learn more at Chicagohalfmarathon.com. 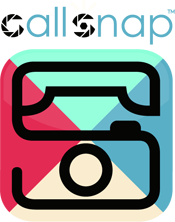 CallSnap – Managed public relations for the launch of TIP Solutions’ new Android application CallSnap. Created and maintained targeted media lists and actively sought media opportunities to raise brand awareness including promotions at multiple technology conventions and giveaways. Learn more at Callsnapapp.com. 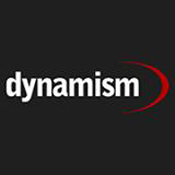 Dynamism.com – Handled public relations, including product placements and a yearly media tour at the Consumer Electronics Show, for the leading U.S. retailer of next-generation electronics from Japan. Learn more at Dynamism.com. GIV Mobile – Managed public relations for the launch of this new no-contract cell phone service. Created and maintained targeted media lists and actively sought media opportunities to raise brand awareness, including blogger giveaways, product reviews and national television segments. Organized the pre-launch party in Los Angeles for Seth Rogen’ s Hilarity for Charity event, which raises money and awareness for Alzheimer’s among a younger generation. Learn more at Givmobile.com. Gizmine.com – Managed the launch of this online superstore of Japanese gadgets and lifestyle goods, including a media tour at the Consumer Electronic Show. Learn more at Gizmine.com or click here to visit Gizmine’s Facebook group. 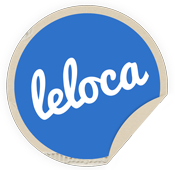 Leloca – Managed public relations for the launch of their innovative new Smartphone application. Created and maintained targeted media lists and actively sought media opportunities to raise brand awareness. Learn more at Leloca.com. 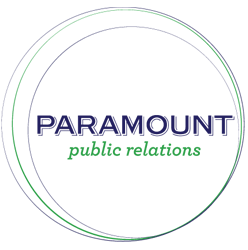 PlatinumTel – Managed public relations for this prepaid cell-phone company. Learn more at Platinumtel.com.